When two teams of Englishmen and Scotsmen set the ball rolling in 1870 at a London cricket ground, they were cheered on by ‘an assemblage of spectators such as is rarely seen’. This book explains why the pioneers came up with the idea, what challenges they faced, how the rugby and association codes fought for supremacy, who the key players were, and how their success led directly to the first full international in Glasgow two years later. 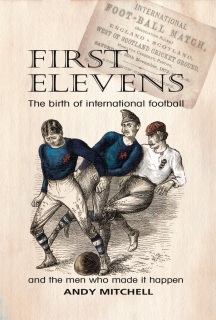 Andy Mitchell shines new light on the birth of international football rivalry, and his fascinating book is a valuable addition to literature on the world’s greatest sport. 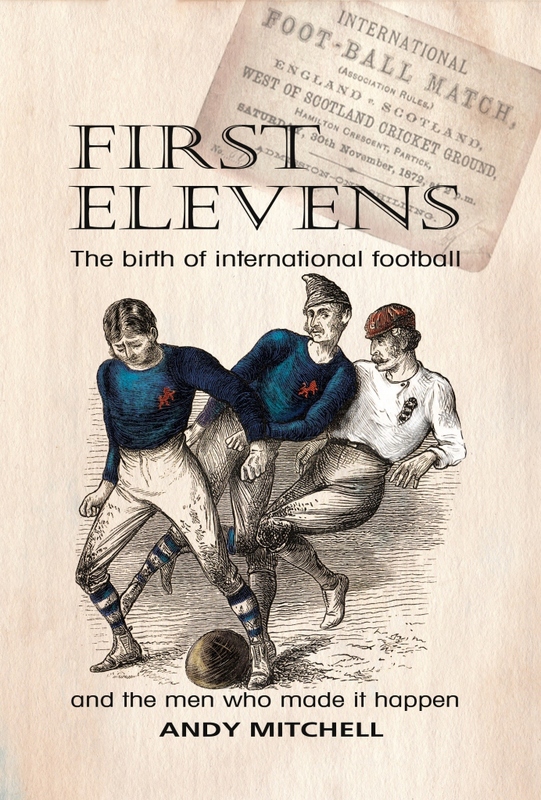 Chapters 1-5 describe the events of the five unofficial internationals between 1870-72, the first rugby international in March 1871, and the first official Scotland v England association football international in November 1872. Chapters 6-8 tell the amazing life stories of the football pioneers, their triumphs and disasters, with many photos never before published. Which England international assaulted his wife with a chicken? Which Scot served three terms in the Wyoming legislature? Who went bankrupt, who murdered his servant, who committed suicide? The answers are all here. In Chapters 9-10, the book concludes with an indispensible biographical dictionary of all 75 association football players and 40 rugby internationalists who took part in the matches, including birth and death details, sporting and career highlights, and family background. With numerous photos never previously published, there is also a timeline, bibliography and index. The book is available directly from the author at a special price of £9.99 post free in the UK. To buy, simply click on the Add to Cart button above for secure online payment. For payment by cheque or if you are ordering from another country, if you would like your book to be signed, or for any other special requests, please fill in the contact form and I'll get right back to you.